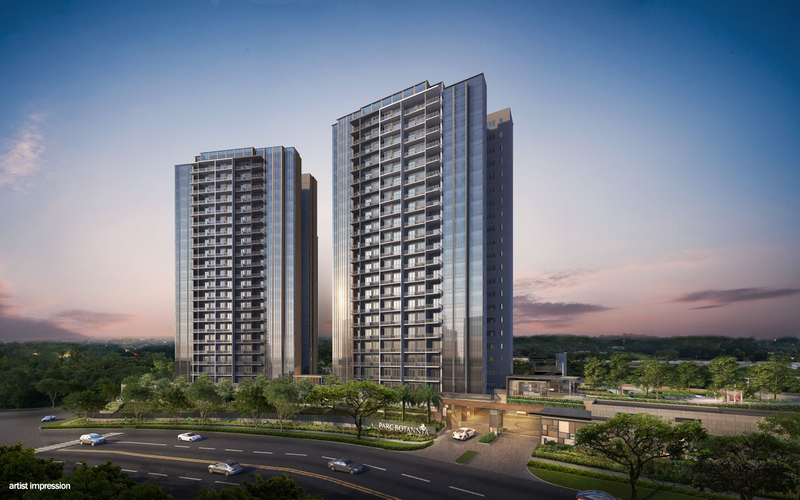 Parc Botannia Condominium at Fernvale Road is a new launch condominium by Sing Development and Wee Hur. The highly sought plot of land attracted 16 bids from developers and a top bid of $287.1 million. Parc Botannia sits on a 185,096 sq ft site which is located less than 100 metres from Thanggam LRT Station will be made up of full condominium facilities with a childcare centre.There will be 4 blocks of 22 storey residential blocks with a total of 735 units, comprising of 1 to 5 bedroom units which cater for different needs The project is expected to launch in Oct/Nov 2017. Parc Botannia Singapore is conveniently located and surrounded by amenities. Seletar Mall is located at the next LRT station, Fernvale Station. The Seletar Mall has 6 levels of retail and 188,000 square feet of nett lettable area, consisting anchor tenants like Fairprice Finest, Shaw Theatres, BHG, FoodFare and other popular shops like UNIQLO, Popular Bookstore, Mcdonald’s, Starbucks and many more. 4 LRT stations away you will be able to reach Sengkang Central and Compass One (previously known as Compass Point) which integrates the MRT Station, LRT Station and Bus Interchange. There are several schools within walking distance to Parc Botannia Wee Hur, like Sengkang Green Primary School, Fernvale Primary School and Pei Hwa Secondary School. Nan Chiau High School which is one of the leading institution in Singapore is also located nearby. Enjoy family time at nearby Sengkang Riverside Park, Sengkang Floating Wetland and Sengkang Sports Centre. For families which require elderly healthcare needs, there is Sengkang General & Community Hospital. Parc Botannia Sing Development is also a short drive away from Seletar Regional Centre. Sengkang West is fast becoming one of the most sought after residential area in District 28. Recent residential projects like Rivertrees Residences, Riverbank and next door High Park Residences had all been sold out. For more information on Parc Botannia Condo, simply fill up your details below and our salesperson will get in touch with you shortly!